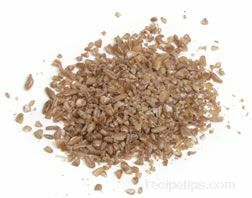 Refers to soft wheat that has been parboiled, dried, and cracked. 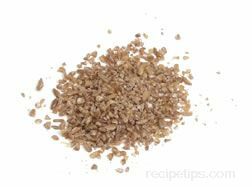 When bulgur is cooked, it has chewy texture and a delicious nutty flavor. Some recipes call for bulgur that only needs to be soaked in order to tenderize it. Bulgur is a traditional ingredient in Middle Eastern cooking and can be used in salads, soups, stews, casseroles, or stuffings and can also be added as an extender to some meat products, such as hamburgers. Also known as bulghur.